It takes the wisdom of the elders and young people’s energy…” – Common and John Legend, “Glory” from the film Selma. The theatrical release of Ava DuVernay’s film Selma dramatizes the historical events of the march from Selma to Montgomery, ‘Bloody Sunday’ on the Edmund Pettus Bridge, and passage of the 1965 voting rights act under President Lyndon B. Johnson. 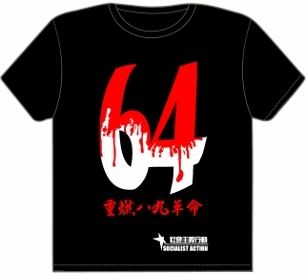 It is the fiftieth anniversary of this historic battle in the long black freedom movement. 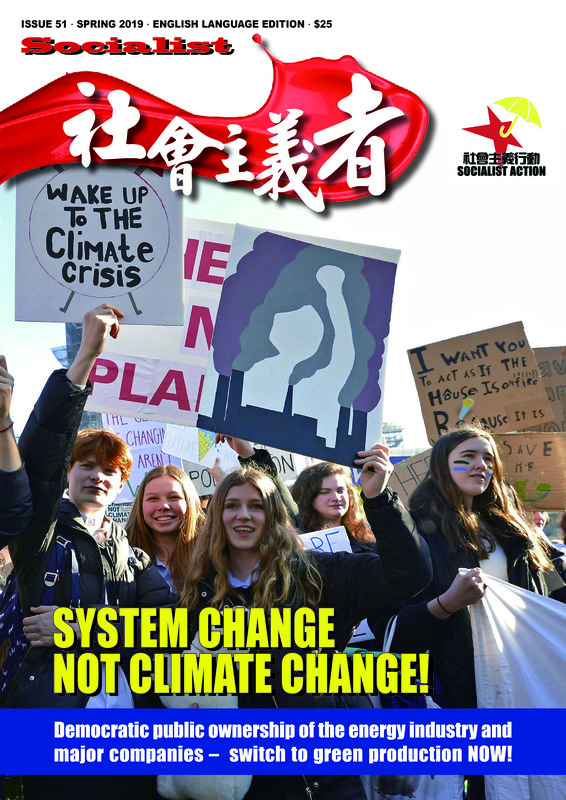 The relevancy of Selma today is embodied in the struggle for democratic rights in Hong Kong and China, European workers and youth revolting against austerity in Ireland, Greece and Spain, uprisings in the United States against systemic police violence and rejection of the agenda of global capitalism. The center piece of Selma is the struggle to secure voting rights under President Johnson by the civil rights movement under the leadership of Dr. Martin Luther King and black clergy. The film perfectly punctuates the power of black workers and youth organizing and fighting back against Jim Crow; which was legal segregation in the southern United States from 1877 to 1965 that politically, economically, and socially disenfranchised black workers and youth under US capitalism. Today, we are fighting the same battle over securing voters’ rights for workers, youth and particularly people of color as both parties of big business (Democrats and Republicans) have passed voting suppression laws in a number of states like Texas. In recent years the US Supreme Court amended key federal statutes in the Voters Act like clause 4 and 5 that defended and protected voters’ rights for workers in the states with a record of historic voter discrimination and racist terror like in Alabama and Mississippi. Selma is produced by billionaire media mogul Oprah Winfrey and Brad Pitt’s Plan B production company. 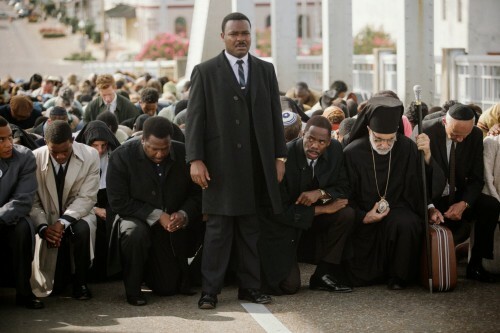 Selma is a first rate production with an exceptional cast headlined by David Oyelowo as Dr. King, Tom Wilkinson as President Lyndon B. Johnson, Tim Roth as Alabama Governor George Wallace, and Carmen Ejogo as Coretta Scott King. It accurately highlights the events in graphic detail like the killing of Jimmie Lee Jackson and the state sponsored violence on the Edmund Pettus Bridge. The film depicts the struggle as a battle between Dr. King and President Johnson as many historians including presidential historians have challenged this depiction in the film, acknowledging that Dr. King and President Johnson were more “partners” than “rivals” in the struggle to secure voting rights. In amplifying the voice and status of Dr. King and President Johnson, Selma falls again in the paradigm of the great “men” theory of history. Selma, dwarfs the role of women figures in the black freedom movement like Coretta Scott King. Diane Nash, and co-founder of the Student Non-Violent Coordinating Committee Ella Baker and college student activist Stokely Carmichael aren’t even depicted. Even radical voices in Dr. King’s Southern Christian Leadership Council (SCLC) like James Bevel portrayed by rapper and actor Common is given two lines of no real significance. These decisions by the producers and director of the film miseducate a whole generation of young people about the various voices and ideas that shaped the struggle for civil rights and black power in the United States during the 1950s and 60s. Selma is a good beginning, but more historical research is needed to obtain the full breath of the struggle for civil rights particularly by this generation who are being radicalized by the crimes of capitalism at home and abroad. Selma indicates the great need to build mass movements to secure much need material victories and democratic reforms under capitalism, those victories should be seen as a springboard to demanding more, challenging and replacing the system of daily exploitation and oppression, that would cement our gains under a system that puts people first over profit. The struggle for democratic socialism is on the agenda today. The events depicted in the film Selma, the historic Civil Rights movement, have inspired generations of workers and youth around the world to transform their lives and end the dictatorship of 0.01%. To properly commemorate this historic anniversary, let’s march on until the victory is won.